SAIC hosts a lecture series each semester, with renowned artists and designers visiting the campus to speak about their work. 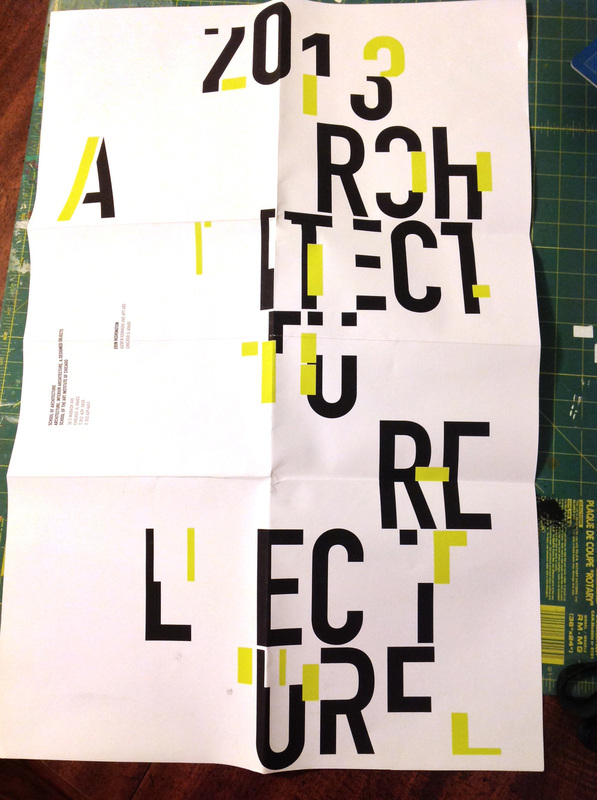 I created a typographic Architecture Lecture poster referencing building plans and playing with the structure of letterforms just as architects play with the structure of buildings. It folds into a 10 x 10 mailer for distribution.